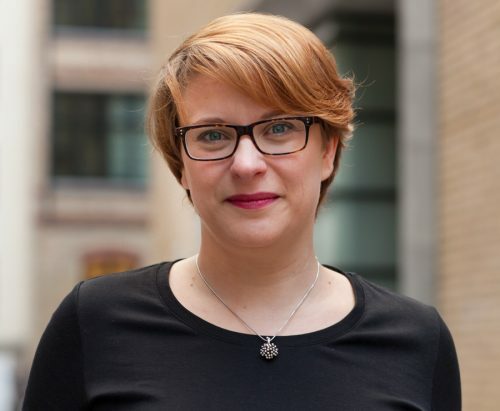 Christine Hagemann serves as Chief of Staff at ZEG Berlin. In this role, she is responsible for engaging all employees and establishing the culture and systems that empower ZEG Berlin employees to excel in the workplace. In partnership with the rest of the ZEG Berlin Executive Team, Christine ensures that ZEG Berlin complies with laws, regulations, company policies and contracts. Christine brings extensive experience in epidemiology and study management to her role and has particular expertise in overseeing the management of financial contracts and milestone planning associated with ZEG Berlin studies. Christine continues to work as a Project Manager for ZEG Berlin’s large cohort studies, bringing her wealth of experience in management and compliance to the projects she oversees. Christine completed her Master’s degree in Public Health (MPH) at the School of Public Health, University of Bielefeld. She was a scientist at the University of Bielefeld in the Department of Demography and Health, Faculty of Public Health. As a research associate in the Department of Paediatrics at the University Hospital in Würzburg, Christine oversaw the implementation of epidemiological studies on infectious diseases and vaccines. She is currently completing her dissertation on varicella and measles vaccination in Bavarian children. Barnett Clare, Hagemann Christine, Dinger Jürgen, Heinemann Klaas, Fertility and combined oral contraceptives - unintended pregnancies and planned pregnancies following oral contraceptive use - results from the INAS-SCORE study Eur J Contracept Reprod health Care. 2016; Oct 17:1-7. 10.1080/13625187.2016.1241991. Hagemann Christine, Seeger K, Krämer A, Liese J G, Streng A, Entwicklung der Varizellen-Impfraten und mögliche Einflussfaktoren auf die Impfentscheidung der Eltern im Raum München in den Jahren 2009–2011 nach Einführung der allgemeinen Varizellenimpfung. In: Das Gesundheitswesen. 2016; [Epub ahead of print]. DOI: 10.1055/s-0042-100726. Segerer F J, Seeger K, Maier A, Hagemann Christine, Schoen C, van der Linden M, Therapy of 645 children with parapneumonic effusion and empyema-A German nationwide surveillance study. Pediatric pulmonology. 2016; 20 Sept.. DOI: 10.1002/ppul.23562. Breckenkamp J, Razum O, Eißner R, Hagemann Christine, Reitmeier P, 5.4 Wirtschaft und Beschäftigung, Good Governance. Oliver Razum (Hg. ): Kindergesundheit in Entwicklungsländern. Frankfurt am Main: Lang (Challenges in public health, 56). 2008; S. 149–192. Breckenkamp J, Reitmeier P, Hagemann Christine, Razum O, 5.5 Umwelt und Infrastruktur. Oliver Razum (Hg. ): Kindergesundheit in Entwicklungsländern. Frankfurt am Main: Lang (Challenges in public health, 56). 2008; S. 193-208. Razum O, Hagemann Christine, Razum, Oliver (Hg. ): Kindergesundheit in Entwicklungsländern Frankfurt am Main: Lang (Challenges in public health, 56). 2008; Online verfübar.